Less than 24 hours after confirming their first foray into Sweden, the UFC wasted no time in filling out the card’s roster. On Thursday, the organization announced six scraps for the April 14th event. 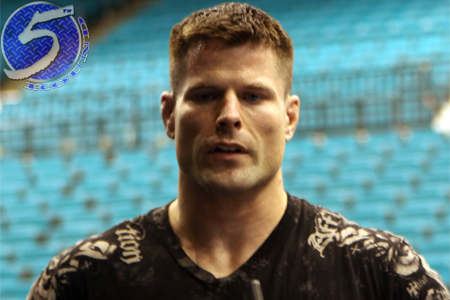 As previously reported, a middleweight brawl between Brian Stann (Pictured) and Alessio Sakara will appear in the show. As expected, a slew of Swedes and European talent will dominate the lineup. Following last Friday’s quick TKO victory over Vladimir Matyushenko at UFC 141, Alexander Gustafsson expressed great interest in competing in front of his countrymen. It’s possible the fast-rising light heavyweight could be added to the card shortly. The Ericsson Globe Arena in Stockholm will host the Octagon’s debut in Sweden. FUEL TV will air the show in North America, but there has been no official word if the broadcast will be available for live viewing.